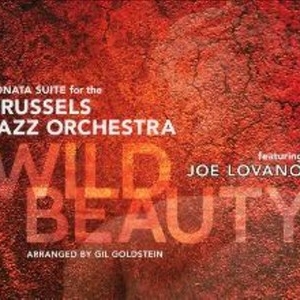 Wild Beauty comprises 8 compositions by Lovano, brought together in one seamless music sequence that tells the story of composer and soloist Joe Lovano. All the compositions were previously released on various CDs by Lovano, but this is the first time they are performed by a big line-up. ‘Wild Beauty’ is a showcase of his compositions, as it were, as it presents an overview of Lovano’s work, drawing inspiration from his Italian roots. Lovano has dedicated ‘Wild Beauty’ to his Sicilian mother Josephine (Giuseppina) Verzi Lovano, who died in May last year. Gil Goldstein rearranged Lovano’s compositions for the BJO, having been given carte blanche by Joe.